No more petrol or diesel cars, buses, or trucks will be sold anywhere in the world within eight years. The entire market for land transport will switch to electrification, leading to a collapse of oil prices and the demise of the petroleum industry. Prof Seba's premise is that people will stop driving altogether. They will switch en masse to self-drive electric vehicles (EVs) that are 10 times cheaper to run than fossil-based cars, with a near-zero marginal cost of fuel and an expected lifespan of 1m miles. It is a twin "death spiral" for big oil and big autos, with ugly implications for some big companies unless they adapt in time. The long-term price of crude will fall to $25 (€23) a barrel. Most forms of shale and deep-water drilling will no longer be viable. Scotland will forfeit any North Sea bonanza. Russia, Saudi Arabia, Nigeria and Venezuela will be in trouble. It is an existential threat to Ford, General Motors, and the German car industry. They will face a choice between manufacturing EVs in a brutal low-profit market, or reinventing themselves a self-drive service companies, variants of Uber and Lyft. They are in the wrong business. The next generation of cars will be "computers on wheels". Google, Apple, and Foxconn have the disruptive edge, and are going in for the kill. "We are on the cusp of one of the fastest, deepest, most consequential disruptions of transportation in history," Prof Seba said. "Internal combustion engine vehicles will enter a vicious cycle of increasing costs." The "tipping point" will arrive over the next two to three years as EV battery ranges surpass 200 miles and electric car prices in the US drop to $30,000 (€26,800). By 2022 the low-end models will be down to $20,000 (€18,000). After that, the avalanche will sweep all before it. "What the cost curve says is that by 2025 all new vehicles will be electric, all new buses, all new cars, all new tractors, all new vans, anything that moves on wheels will be electric, globally," Prof Seba said. "Global oil demand will peak at 100m barrels per day by 2020, dropping to 70m by 2030." There will be oil demand for use in the chemical industries, and for aviation, though Nasa and Boeing are working on hybrid-electric aircraft for short-haul passenger flights. Prof Seba said the residual stock of fossil-based vehicles will take time to clear but 95pc of the miles driven by 2030 in the US will be in autonomous EVs for reasons of cost, convenience and efficiency. Oil use for road transport will crash from 8m barrels a day to 1m. The cost per mile for EVs will be 6.8 cents (6 cents), rendering petrol cars obsolete. Insurance costs will fall by 90pc. The average American household will save $5,600 (€5,000) per year by making the switch. The US government will lose $50bn (€45bn) a year in fuel taxes. "Our research and modelling indicate that the $10 trillion (€9 trillion) annual revenues in the existing vehicle and oil supply chains will shrink dramatically," Prof Seba said. "Certain high-cost countries, companies, and fields will see their oil production entirely wiped out. Exxon-Mobil, Shell and BP could see 40pc to 50pc of their assets become stranded." These are all large claims, though familiar to those at the cutting edge of energy technology. While the professor's timing may be off by a few years, there is little doubt about the general direction. The brains trust of Prime Minister Mahendra Modi has called for a mix of subsidies, car-pooling, and caps on fossil-based cars. The goal is to cut pollution and break reliance on imported oil, but markets will pick up the baton quickly once the process starts. China is moving in parallel, pushing for 7m electric vehicles by 2025, enforced by a minimum quota for "new energy" vehicles that shifts the burden for the switch on to manufacturers. At the same time, global shipping rules are clamping down on dirty high-sulphur oil used in the cargo trade, a move that may lead to widespread use of liquefied natural gas for ship fuel. This is all happening much faster than Saudi Arabia and Opec had assumed. The cartel's World Oil Outlook last year dismissed electric vehicles as a fringe curiosity that would make little difference to ever-rising global demand for oil. It predicted a jump in crude consumption by a further 16.4m barrels a day to 109m by 2040, with India increasingly taking over from China as a growing market. The cartel said fossils will still make up 77pc of global energy use, much like today. It implicitly treated the Paris agreement on climate targets as empty rhetoric. Opec, Russia, and the oil-exporting states are now caught in a squeeze and will probably be forced to extend output caps into 2018 to stop prices falling. Shale fracking in the US is now so efficient, and rebounding so fast, that it may cap oil prices in a range of $45 (€40) to $55 (€50) until the end of the decade. By then the historic window will be closing. Experts will argue over Prof Seba's claims. His broad point is that multiple technological trends are combining in a perfect storm. The simplicity of the EV model is breath-taking. 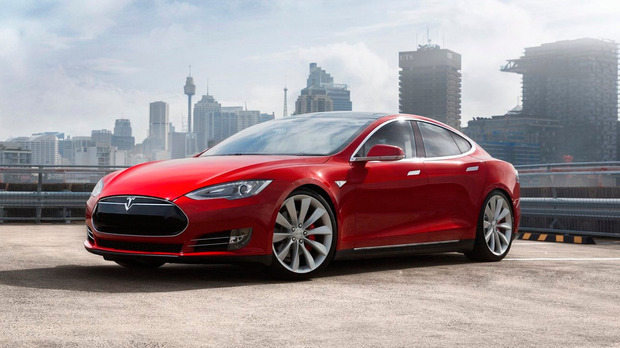 The Tesla S has 18 moving parts, 100 times fewer than a combustion engine car. "Maintenance is essentially zero. That is why Tesla is offering infinite-mile warranties. You can drive it to the moon and back and they will still warranty it," Prof Seba said. Self-drive "vehicles on demand" will be running at much higher levels of daily use than today's cars and will last for 500,000-1m miles each. It has long been known that EVs are four times more efficient than petrol or diesel cars, which lose 80pc of their power in heat. What changes the equation is the advent of EV models with the acceleration and performance of a Lamborghini costing five or 10 times less to buy, and at least 10 times less to run. "The electric drive-train is so much more powerful. The gasoline and diesel cars cannot possibly compete," Prof Seba said. The parallel is what happened to film cameras - and to Kodak - once digital rivals hit the market. It was swift and brutal. "You can't compete with zero marginal costs," he said. The effect is not confined to cars. Trucks will switch in tandem. Over 70pc of US haulage routes are already within battery range, and batteries are getting better each year. Mark Carney, the Governor of the Bank England and chairman of Basel's Financial Stability Board, has repeatedly warned that fossil energy companies are booking assets that can never be burned under the Paris agreement. Other seemingly entrenched sectors could be just as vulnerable. He warned of a "Minsky moment", if we do not prepare in time, where the energy revolution moves so fast that it precipitates a global financial crisis. The crunch may be coming even sooner than he thought. Car for coming home? 'Jeepy' car for wife? Changing Audis? €10k buy?